The stage is all set for holding Gunotsav Phase II in South Assam’s Hailakandi district from October 31. 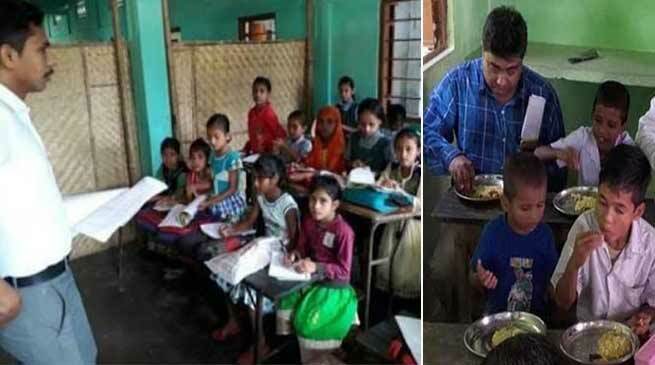 Disclosing this, Inspector of Schools, Hailakandi, Rajiv Kumar Jha said the stage is all set for conducting Government of Assam’s ambitious school assessment programme Gunotsav Phase II in Hailakandi district from Wednesday. Jha revealed that the programme will be conducted in 1,359 schools covering 84,588 students of Classes II to IX. Of these schools, 15 are having enrolment of more than 400 students. Altogether 510 external evaluators – 120 from Karimganj district, 226 from Cachar and 164 from Hailakandi district – together with 124 liaison officers will be conducting the assessment in the schools with assistance from 1,359 nodal teachers. The internal evaluation will take place on October 31 while external evaluation from November 1 to 3. Jha informed that block level training of LOs and Nodal Teachers, district level evaluators orientation training and cluster level teachers’ meet have been already held. A day-long orientation of External Evaluators with LOs will be conducted on Friday, he added. Besides Hailakandi, Gunotsav Phase II will cover 16 districts of Assam.